Last week I was invited to join a demonstration day with TrainersKitbag (@trainerskitbag) and in yesterdays blog hereI talked about my reflections from the day focussing on “The Way we Think”. In today’s blog I’d like to share my reflections on how we act. At the very start, take 15 minutes to discuss/agree a strategy. Make sure you assign roles or a leader. Periodically take a moment to review your plans & actions. Be aware of the team dynamics. Take time to understand the personality types in the group. Use a range of communications styles to bring across your point. All of these have merit and the great value of the facilitator/coach in such team situations is that they can independently observe your actions & behaviours. With trust the facilitator/coach can create the right degrees of tension and challenge to raise awareness and help facilitate change. On the demo day, you’d think that our team of seasoned professionals shared & followed the best practice that we know & love. Well not exactly…by and large we just got stuck in! We knew that developing a strategy for the game at the start was an appropriate thing to do but we chose to take action first and then strategise on our way. We didn’t assign roles at all. We reviewed our actions constantly. We were still very successful in our tasks. We were already familiar and practised at working in such team environments. I wouldn’t say we were masters (read here) as such but we were able to trust our intuition (read here) and break some of the “rules”. We had a number of enabling factors working in our favour (read here) which when combined with our experience created successful behaviours. In hindsight, where I think we could have improved was in terms of a deeper strategy conversation around 20 minutes into the exercise. This wouldn’t have changed our next actions but it may have helped relieve some of the effort we had to make towards the end of the day. On reflection I think my message here is to pay attention to best practice. However, if you are practiced and able to employ successful behaviours then go with your intuition. Feel free to break some rules – it might be the only way to beat the rest! Would love to hear your views and stories on rule-breaking! 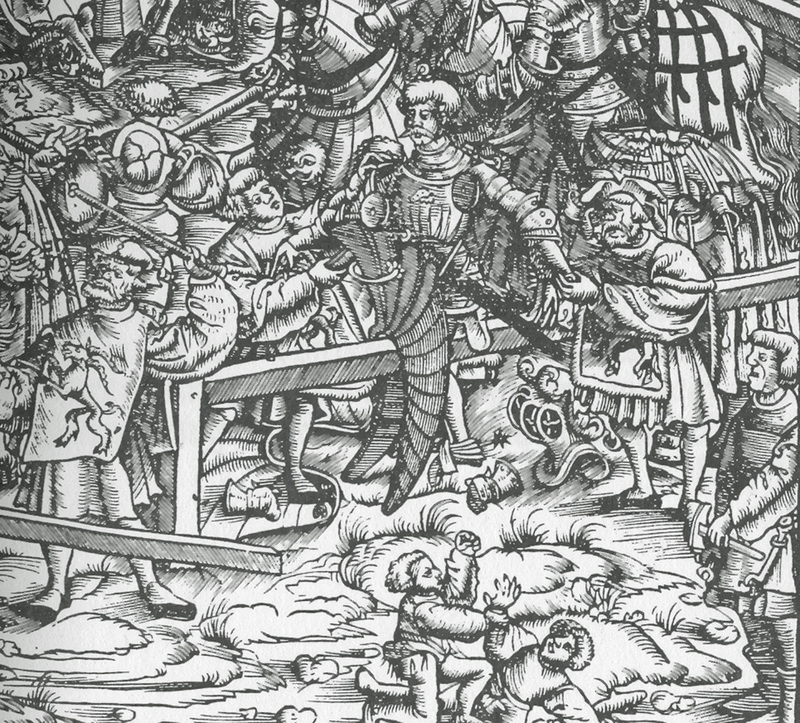 *This 16th century image describes the punishment at tournaments for breaking the rules – the delinquent was put across the fence of the tournament area and beaten! Nowadays, we might worry that the equivalent of this will happen to us but in reality we are only ever “punished” by our lack of skill or fear itself. « The one where the "Boot" was on the other foot – Part 2 "The way we think"